Our research focuses on haptics and rehabilitation. Haptics focuses on the sense of touch, and we look at aspects of thermal response, coordinated motions, and force feedback interaction. Our rehabilitation research focuses on restoring abilities in individuals with asymmetric impairments, such as from stroke or unilateral amputations. Much of the research overlaps between haptics and rehabilitation since both are fundamentally trying to understand how the human body works and design interactions to elicit certain responses, whether they are for restoring motion or enhancing a virtual environment. One example of this is our bimanual research, which has applications in training (e.g., airplane pilots or surgeons) and also in rehabilitation where the individuals healthy side can be used to guide the motions on the impaired side. One of our goals specifically related to rehabilitation is to enable effective rehabilitation outside the clinic, such as in one's own home. Effective home-based rehabilitation is essential to meet the rising demand of physical therapy after stroke while simultaneously reducing the costs of care. In pursuit of home-based rehabilitation, we aim to determine the relationship between externally altering an individual's physical parameters to the resulting motions, determine a minimal set of physical parameters needed to appropriately alter an individual's walking and reaching abilities, and to examine how an individual's altered dynamics can affect permanent cognitive changes that transfer to real-world tasks. Our experiences are inherently interdisciplinary and we draw upon engineering, haptics, human-robot interaction, rehabilitation, and medical robotics. Below is the lab and more details about the lab are on the other pages. Sorry, inline video is not supported; click here to watch the video. Video summary of the lab research as shown on American Medicine Today (click here for medium quality [shown below] or high quality version). 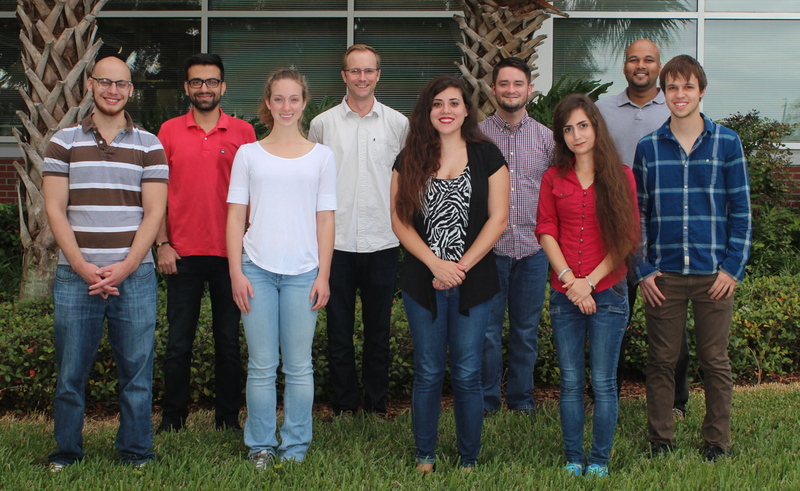 REED Lab photo taken in the Fall of 2016. Last modified on Jan 30, 2017.